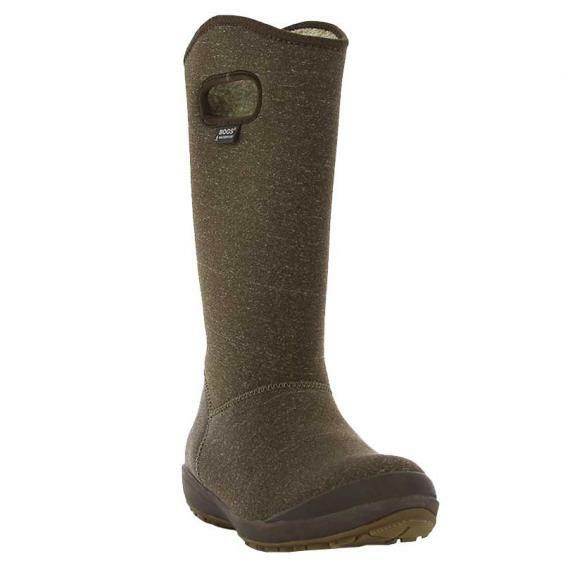 Being warm and dry doesn't mean you have to look bulky thanks to the new Bogs Charlie boots. This women's cold-weather boot is crafted with super soft, 100% waterproof fabric that is flexible and very easy to wear. Inside you'll find plush lining that feels so soft, along with 3mm of Neo-Tech insulation to keep the cold at bay. The contoured insole is supportive and comfortable, and features DuraFresh anti-odor protection. Rated to 22°F/-30°C, these boots can be folded down for chilly fall days or wear them all the way up for cooler winter temps. The molded rubber outsole provides traction. Look cute but stay warm and dry during the cooler months in the Bogs Charlie boots.